This post was not intended to be so long, but to make it (hopefully) more manageable I’ve split it up in pages. Linked to Gluten-Free Wednesdays and Slightly Indulgent Tuesdays. On Monday, after making lunch and tidying up, I rolled up my sleeves and commenced to finish making the puff pastry that I’ve been excited about for so long. It is no mistake: yes, I said puff pastry. Make that gluten-free puff pastry, from Helene of Tartelette. When I first caught word of this marvel last month, I waited in tense anticipation for one of the two ladies to post the recipe for this dream come true. When I saw the post, at last, I exclaimed, “Yes!” Ecstatic. My sister, who was in the vicinity, looked at me with a strange expression on her face. “You nut,” she said. Most of my gluten-free cooking experience is through the Specific Carbohydrate Diet (SCD), in which a gluten-free puff pastry is scientifically impossible, so I never thought of tried making it myself. Puff pastry needs a gluten, some form of starch…none of which any of the foods allowed on SCD provides. When I saw that fantastic gluten-free puff pastry, I knew that I had to make it. Working with the dough was beautiful. But the beauty even started before that, with the flour combination: I want to make the flour blend again and try using it in other baking. 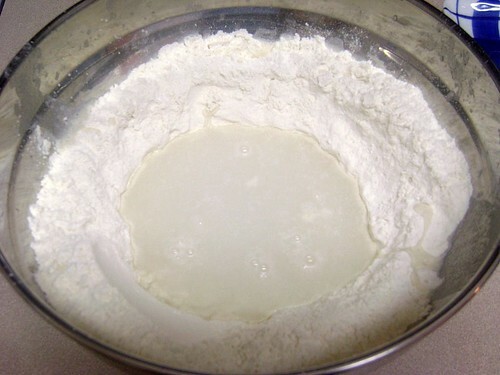 The density was like all-purpose flour – no kidding! Before I’d even got to the folding part, I was even more excited: with only the water added, it smelled and felt like wheat! I passed the bowl around to everyone, for them to smell it and feel how wonderful it was, pressing the dough with their fingers; all of us in wonder and excitement, thinking of the potential and possibilities. (“I can’t wait for that pastry!” said my Mum.) I was impressed with the elasticity. 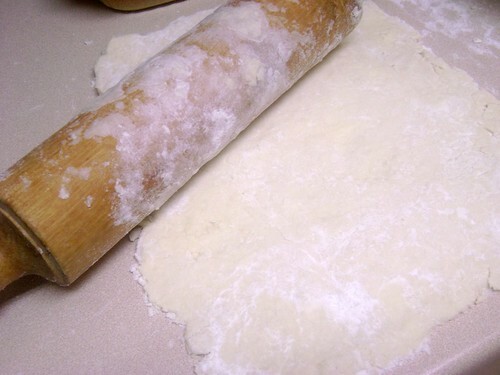 As I was rolling out the dough, with each folding, I felt more and more like I was working with wheat dough than a gluten-free one, for I thought it acted very much like gluten would. After each folding (six in total), the dough had to rest in the fridge for 1 hour – I started making the dough in the afternoon, after four o’clock, and I had missed the part about the one-hour rest between each folding – even though I’ve read Helen’s post and instructions who knows how many times since I first saw it. The fourth folding was at around eleven-thirty-ish, and I’d planned to set an alarm to go off at one-hour intervals, so that I could fold the dough. I didn’t know what would happen if I just let it rest for longer than hour when it wasn’t finished being folded. 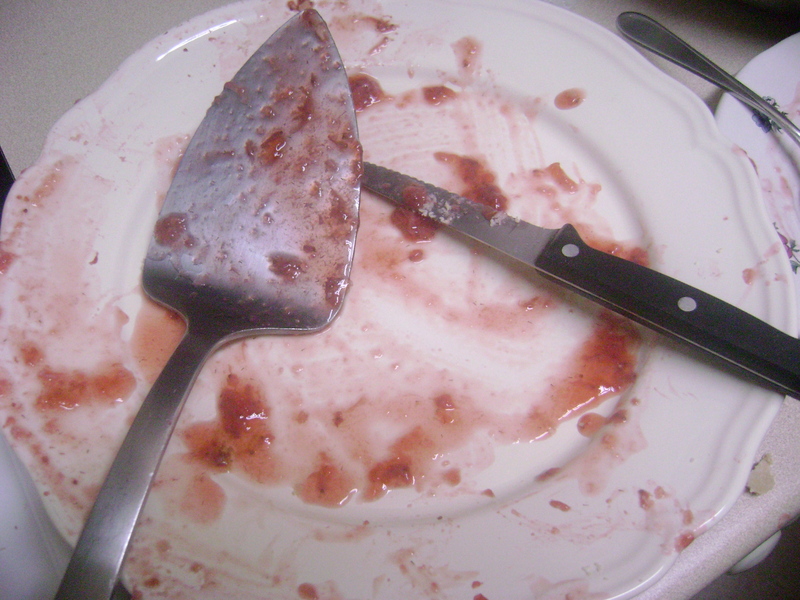 As it happened, I never heard that alarm – instead the dough remained in the fridge, undisturbed, until five o’clock in the morning and I woke up panicked. 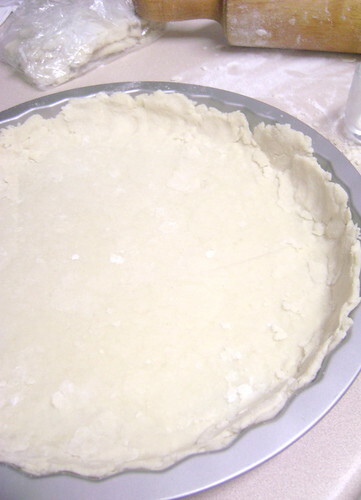 I did use butter to make the crust, although I’d like to see if coconut oil would also work. That’s what I wanted to do in the first place, but my Mum said that I should make it with the butter first so I know how it should work, then experiment with making it dairy-free. I had intended to make the dairy-free version before I made the quiche and posted it, but I didn’t have the time – the deadline is this Wednesday, tomorrow. When I make a dairy-free version, I’ll share the results. It looks terrific. I totally understand making a tart instead of a quiche! Looks amazing! Really inspiring! Makes me want to try making more GF versions of foods! It’s amazing what you can do without gluten! Btw- I love that plate with the hearts! Very cute! It was very fun! I still have some leftover dough in the freezer. I’ll see what I come up with next to use it up. I’ve updated the link in the post as well. Thanks!